With over 3,000 buses in our network and 24/7 customer support, your wedding transportation is covered from beginning to end with San Diego Charter Bus Company. Call us today at 619-209-7804 to get a free, no-obligation quote for your wedding bus rental. Out-of-town guests may find it difficult to get to your wedding due to expensive airfare, long distances, and missed flights. With a private charter bus, your guests will be able to enjoy your wedding without the hassles of traveling on their own. We'll pick up a group of guests from San Diego International Airport or transport them in from out of town with absolute ease. Make sure your guests arrive on time for your big day with a private shuttle service. We’ll pick up guests from their hotel and drop them off at your venue without a single worry of parking, navigating unfamiliar streets, or arriving on time. Guests will be guaranteed a safe ride back while they celebrate at your reception. 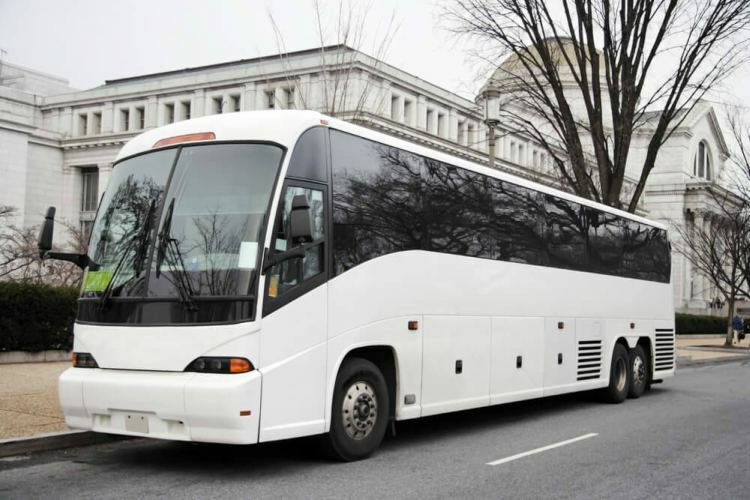 Whether you have just a few or more than you can count in your wedding party, San Diego Charter Bus Company will ensure that everyone gets to your ceremony and reception on time. With amazing amenities like reclining seats, WiFi, a radio, and more, your wedding party will be able to enjoy drinks, listen to music, and spend precious moments together while your professional driver handles the rest. We’ll make sure you stay on schedule so you can focus on savoring your special day. Don’t let transportation be another stressful part of wedding planning. San Diego Charter Bus Company will work hard to match you with the perfect bus so you can focus on more important parts of your day. Call us any time at 619-209-7804 to receive a free, no-obligation quote and to book your wedding's transportation!